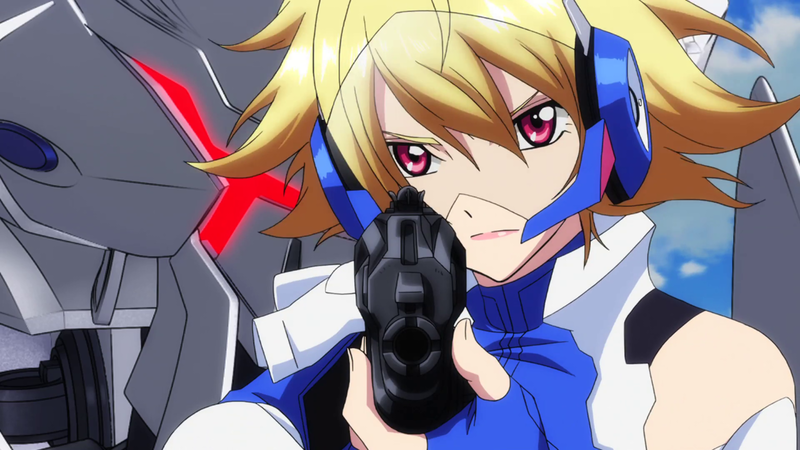 Sentai Filmworks Licenses "CROSS ANGE Rondo of Angel and Dragon"
A once powerful princess who had the world at her fingertips will join a group of warriors to defend it from destruction in Sentai Filmworks' latest acquisition, CROSS ANGE Rondo of Angel and Dragon. This fantasy adventure series is directed by Yoshiharu Ashino (Tweeny Witches, Thundercats ), with series composition by Tatsuto Higuchi (Phi Brain Puzzle of God, Toradora! ), mecha design by Junichi Akutsu (My-HiME, Code Geass: Lelouch of the Rebellion), and animation production by SUNRISE (Gintama, Horizon in the Middle of Nowhere). Mankind has acquired a highly advanced information technology known as "Mana." Thanks to this almost magical force war, hunger, pollution, and every other problem on the face of the earth have been conquered. Finally the world is a utopia of peace and luxury. Angelise is the First Princess of the Empire of Misurugi. She also lives a life of luxury, is celebrated by the citizens, and is expected to wear the crown. However, the truth becomes known that she herself is a "Norma." A "Norma" is someone who cannot use Mana. They are called "Irregulars" and are considered anti-social "things." With everything taken away from her, she is sent into isolation on a secluded island. There she meets Norma girls who know of nothing but fighting. They spend their days piloting transforming humanoid weapons called "Para-mails" to hunt giant aggressive life forms called "Dragons" which have invaded from another dimension. Having lost her name, "Ange" becomes a warrior. But what will she see at the end of her battles? What is to be trusted? The story of one girl and her determination begins here. CROSS ANGE Rondo of Angel and Dragon will be available soon through select digital outlets with a home video release to follow.